Home » Camp offically "endangered"
The 116-acre, historic Camp Algonquin has been named to Landmarks Illinois’ annual Ten Most Endangered Historic Places list. 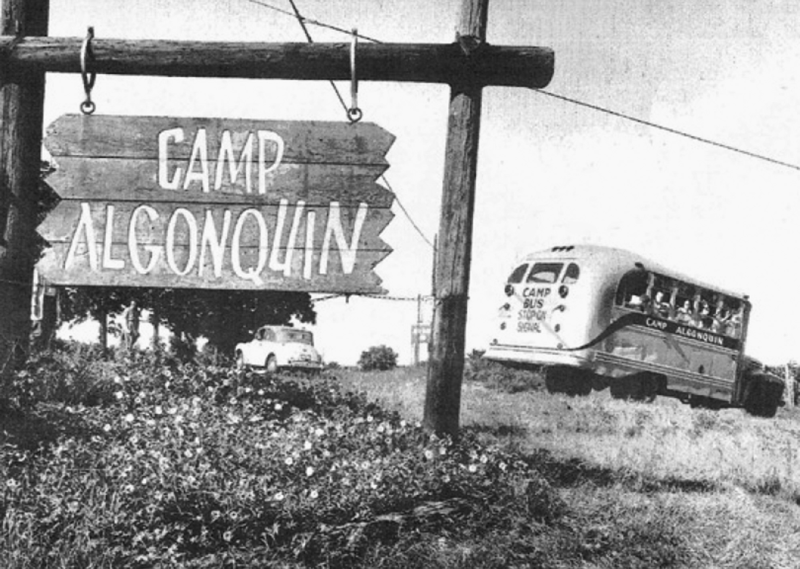 Closed in 2011, Camp Algonquin is one of only four camps built in the United States during the “Fresh Air in the Country” movement, started during the late- 1800s. This movement was fueled by the belief that spending time in a rural environment would alleviate the problems caused by inner city living. 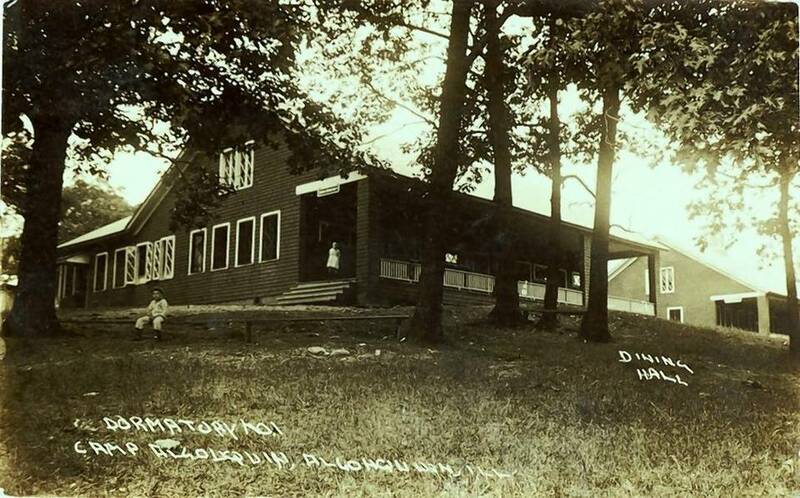 In 1907, Camp Algonquin was established as a fresh air camp on 20 acres along the Fox River. The camp was supported by the Chicago Bureau of Charities, Chicago Board of Trade, Chicago Tribune, Oak Park churches and numerous private donors. In 1910, the noted landscape architect Jens Jensen was hired to produce a plan for the original 20 acres of the camp. In later years camp operations were taken over by Metropolitan Family Services, a Chicago-based social services agency. 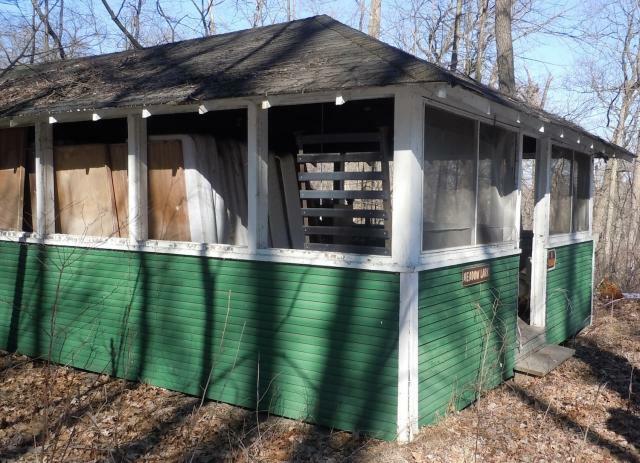 By 2004, due to financial difficulties, Metropolitan Family Services sold the camp to the McHenry County Conservation District. The YMCA of McHenry County operated the facility on behalf of the district until 2011 when the YMCA also ran into financial difficulties and the camp ceased operations. 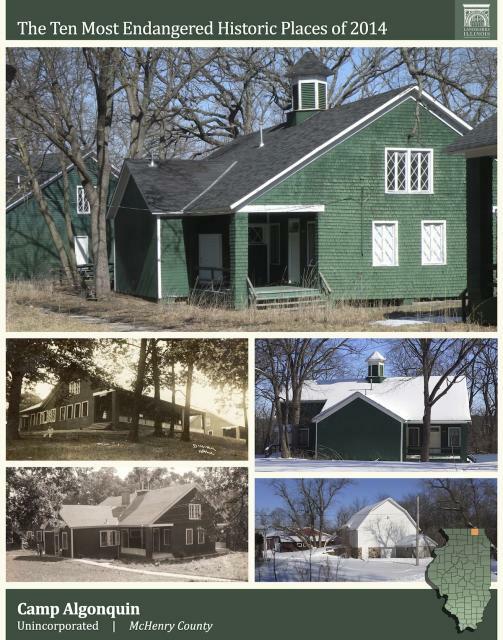 Many of the camp’s 47 buildings are in disrepair and slated for demolition, but the McHenry County Historical Society and McHenry County Historic Preservation Commission are working with MCCD to retain and rehabilitate some key buildings for future use. In March, State Sen. Pam Althoff introduced two bills (SB 3341 and SB 3342) to address the challenges the district has in funding the rehabilitation of historic properties acquired with bond proceeds from voter approved referenda. Since the inception of Landmarks Illinois’ Ten Most list in 1995, more than a third of the listed properties have been saved, less than a quarter have been demolished, and the rest are in varying stages between being continually threatened and rehabilitation. This year’s list also includes: an historic planned manufacturing district, a late-19th century grouping of urban commercial corner buildings, the first free and integrated school in the nation, a prominent 1931 Art Deco building on a downtown public square, a suburban Chicago one-room schoolhouse, one of the few remaining “Tin Man” style water towers in Illinois, a prominent 1897 downtown main street commercial building, one of the largest and grandest movie palaces in the country and a pre-Civil War marine hospital.